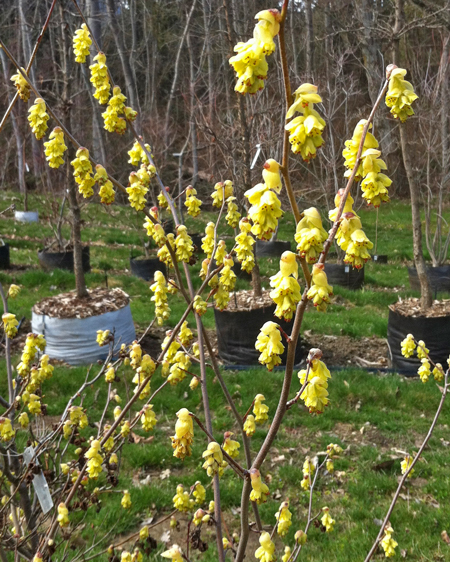 Growing to six feet or more in height, Spike Winterhazel will become even wider. 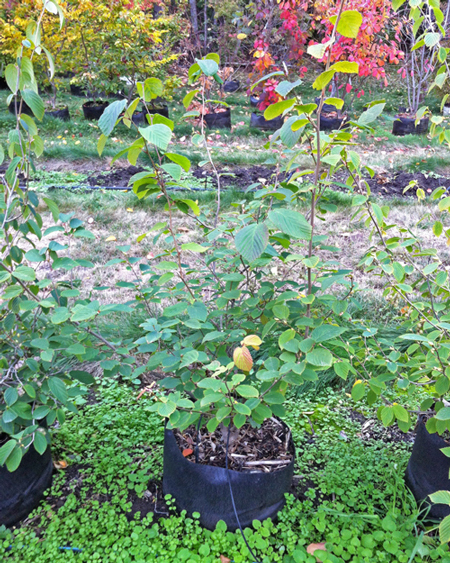 Oval leaves to four inches are purple as they emerge, turn a dark, bluish green on maturity. 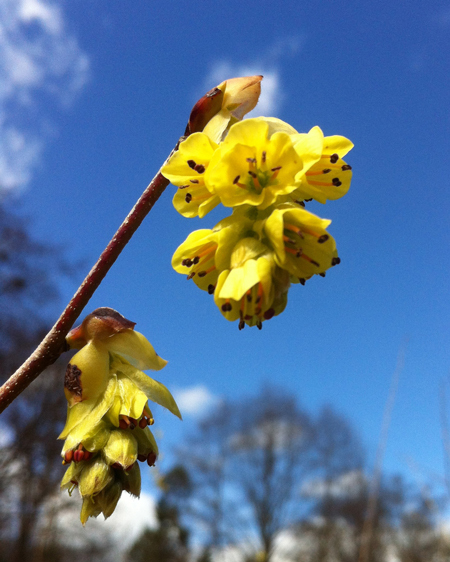 The open, arching branches bear six inch clusters of fragrant, bright yellow flowers, with prominent pink to red anthers and stamens. Most references recommend culture similar to rhododendrons, that is, humus-rich, fertile, well-drained acid soil, in partial shade, with regular moisture. There are reports of its thriving along an asphalt drive, in clay soil, with no water!